← What to blog on? I agree with you for the most part. But for me travel isn’t about escape but about making meaningful connections with people all over the world. Sharing experiences has given me such amazing friendships that have lasted the distance. I count myself truly blessed to have gained these friends. I’m so happy that transpired for you. Cheers to making more friends around the globe. Thank you for writing here. That’s a good thought. I think travelling is good for your mind and your body as you experience something diferent from your daily routine & I truly agree that it is not an escapism from your life and I really don’t like people going to new places with all their insta updates and all. It’s just sometimes you have to have a new experince, a change like you know what I mean. Well, amazing post!! Thank you so very much for writing here and sharing your thoughts, Ananya. We couldn’t agree more. Glad you enjoyed it! Thanks a bunch, Tom. I’m so glad you found it interesting. That’s a really cool perspective. I didn’t really consider it from the lens of age. Yes, makes absolute sense. Youth craving adventure versus older people craving stability. I think it’s important to be appreciate every experience. I like to practice mindful traveling, getting lost, living like a local, and appreciating the small things like I do when I’m home. Traveling isn’t about checking out for me, it’s about checking in. I like to feel at home wherever I go. We’re on the same page with treasuring every experience. Thank you very much for your perspective! My Instagram feed is full of individuals flaunting there new expensive holiday, posing in a photograph with the most tourist attraction that every person has taken a photo next to. Yet non seem to take in the details around them, why visit a country just to take a photo next to the Eiffel Tower for example, but not notice a stunning little bakery that sells amazing coffee! Hey. Thanks a ton for writing here. You said it so well. This post is targeted exactly at those people. I recently went to a place with wonderful architecture and everyone but me looked at it through their phones. Cheers to your adventures 😉 Happy travelling! For me, travelling isn’t an escape, it’s an opportunity to explore and learn about other cultures and to experience things I can’t at home. Thank you for your thoughts. The post is a critique on the wrong connotations that travel, especially in these times, has come to stand for. It doesn’t imply that the same reasons are universal. <Me too. I love travelling and I too write travel posts once in every month. It's so good to travel, a great experience, we learn new things, we get to explore new cultures just like said ad everything in between. Travelling is so good!! Very interesting. And I read it twice! I totally get what youre saying. I guess the thought process of escape versus seeing things that is not around you is vastly different kinds of travel. To escape is I think right on with what you said. Your mess will always be there. But to see what isnt around you, is another kind. For example mountains…. i could stare at them all day. In my state we dont have them. I love traveling to see what my state doesnt have. Really travel, unless specified exactly for escape, is to see things you dont see every day in real life. Thanks a ton for the reread and comment. That’s great perspective. Yes, I agree that those are the right reasons for and a cool definition of travel. I appreciate you writing here. Have a wonderful week ahead! This is so true for most jumping on the travel wagon! My love for travel comes from trips with my kids one on one in nature. There are times this is on my own farm. Most people who have the “travel bug” this is not the case. Many need to learn to see beauty of nature wherever they are! Hello. Thank you so much for writing here. So true. Glad we agree. That sounds like a wonderful source for it to stem from. Safe travels to you and your kids. Sure I’d love to check it out. Good luck! I love to travel but I also love my home. I don’t travel to escape my home life. I travel to see new places and do new things. Sure, I can see and do new things in my hometown, but there are places in the world that are nowhere like where I live. I feel like the world is a big place and I would love to see as much of it as I can in my lifetime! Thank you so much for writing here and sharing your thoughts. Have a lovely home life and happy travelling! Love your writing style……..made me smile! This made my day. Thanks a lot! Yes, your words resonate. Sometimes our motivations get mixed up and we go after things for the wrong reasons. Continous self assessment to understand what drives us is essential. Thanks for the post, gave me food for thought! I’m happy to hear that it made you reflect. I constantly try to be aware of my own motivations as well. As long as we do that, we can make the most out of every experience. Thank you so much for sharing your thoughts! Very interesting, and I agree with your assessment for sure! Too many people are running through their destination sites as if they are filling out check lists of “having done that” and “having seen that” and “now I am better than others for both of these things”. It’s tiresome and tiring. There is much more to be said for wanting the things you already have, and finding the interesting in the familiar. Nicely written. Yes, you’ve put it so well. Travel has been reduced to a fad and a status symbol which certainly takes away the joy from it. It certainly would be a lot easier if we beheld wonder everywhere. Thanks a lot for writing here! I appreciate your time. Thoughtful and well shared. I appreciate your perspectives as they are valid and worthy of consideration. An avid traveler myself, it’s nice to see opportunities through a lens such as yours. Thank you. Thank you so very much for your thoughtful and kind words, Sir. I’m extremely humbled by your comment. I wish you the absolute best with your travelling ventures. Exactly! I’m really not a ‘must travel person’ and I’m fine just the way I am. People feel bad for me when they hear I spent my vacation at home or close to home but they don’t understand that home is my favorite place to be in. 🧐😊 I like to take a trip once in a while but I would not spend my life traveling. I couldn’t agree more. 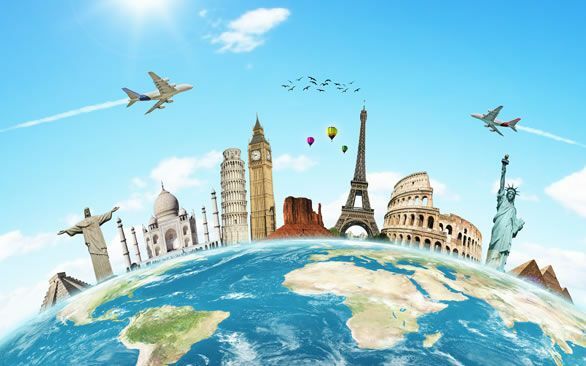 Travel has become a status symbol for many. A race to tick off as many destinations as possible. What a way to miss out on the delights. Yes, very well said. It’s become more about proving something than being in the moment. That kills the joy. Thank you very much for sharing, Robyn. The adventure begins in your mind, not in your surrounding! Thank you so very much for the nomination. I’m honoured. I’ll be happy to check it out. Pleasure is mine dear..Do check my posts too.. Thanks for sharing that with me. Have a wonderful day ahead. For me travel opens new pages in the book of mind. New stories are written and new sketches are etched there.